"Engagement is a key strand of our corporate plan to 2020 and at the heart of our institutional mission- to transform lives. 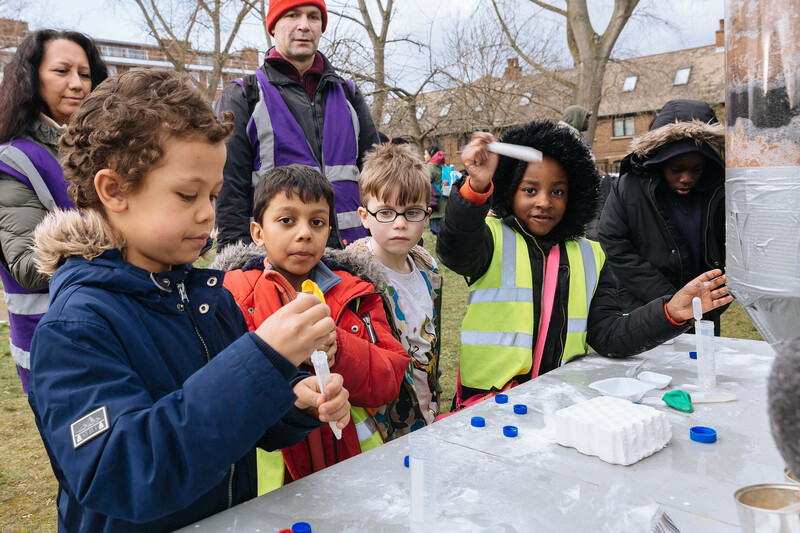 Our public engagement work encompasses our efforts to create positive social impact, to work collaboratively with community partners for mutual benefit and to ensure we enable research to be created, used, challenged, valued and supported by all. Signing the Manifesto is a natural step for us to take." A key thread throughout this work is to make all groups in society feel valued and included through our activities, and we see this as critical to being a socially responsible organisation and a civic institution. Activities are coordinated centrally through the Communications and Engagement Office. We are particularly proud of our Engaged Researcher programme that gives PGR students support and experience in public engagement practice, alongside our Catalyst scheme, which provides seed-corn funding for researchers to experiment with engagement. Our flagship programmes are multi-award winning; the Lancashire Science Festival reaches over 20,000 members of the local community each year and our In the City programme provides targeted activities delivered in partnership with local organisations. We created the Lancashire Science Festival in 2011, in response to a clear need from local schools and families for affordable, high-quality and locally provided STEM engagement. The festival is produced by UCLan and brings together academics, charities, healthcare trusts, other educational institutions and many STEM businesses, with a shared aim to share the wonder of STEM and inspire others. For the University, the festival does much more than this; it provides a supportive space for our researchers to test out engagement activities, to consult and listen to public opinion about ongoing research and to professionalise their engagement practice. The Lancashire Science Festival has grown in size and now reaches over 20,000 visitors each year. Having achieved several awards for community engagement and innovation, it is the highlight in our events calendar. As a community, we tend to get distracted by the definition of public engagement and what is in, or out, of scope. Our view is that engagement is a complex ecosystem, with myriad inter-dependencies, overlaps and connections, and can only have traction within your institution is your approach is authentic to the mission and values of your University. We'd get much more done if we valued the diversity within our sector rather than seeking to pigeonhole activity! Sujata Patel is a scientific lab technician by training, who joined our PE Unit as the technician for the Young Scientist Centre. With a passion for education, learning and inspiring young people, Sujata has tirelessly contributed to the development of the YSC programme, delivering sessions to primary school groups and continually seeking to develop her own skills and expertise. She's led a variety of activities highlighting the critical role technicians play in engagement work and launched the YSC Demo Competition, which recognises excellence in engaging lab demos and is highly prized by academic staff, technicians and students alike.